Glove lets kids imagine that they are joining the battle against the bad guys as the wall-crawling web-slinger himself! When kids put on the Spider-Man Hero FX Glove they can have some spidey battels of their own. They can trigger the button on the centre of the glove’s palm like Spidey when he triggers his webs. When they push the button, web-slingers-in-training will hear the rapid-fire sounds of web-slinging, battling, and the classic "thwip" that let villains and criminals know that Spidey is coming, which means that they don’t stand a chance! 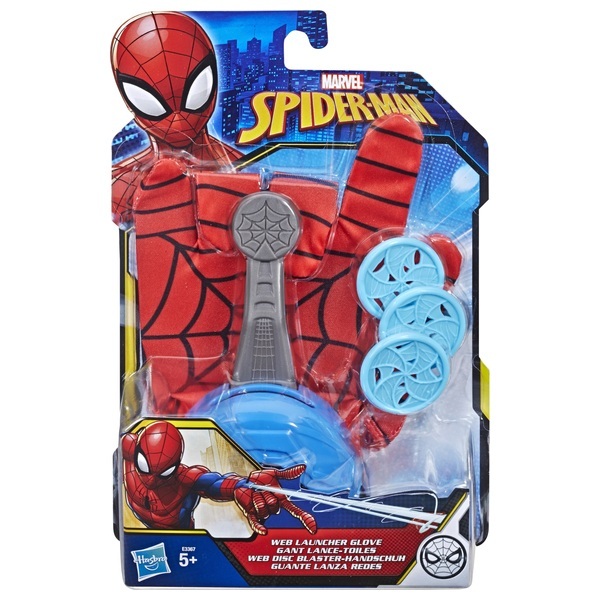 With the Spider-Man Hero FX glove, kids can imagine what it’s like to be their friendly neighbourhood web-slinger as he takes down the bad guys and battles on the side of justice.